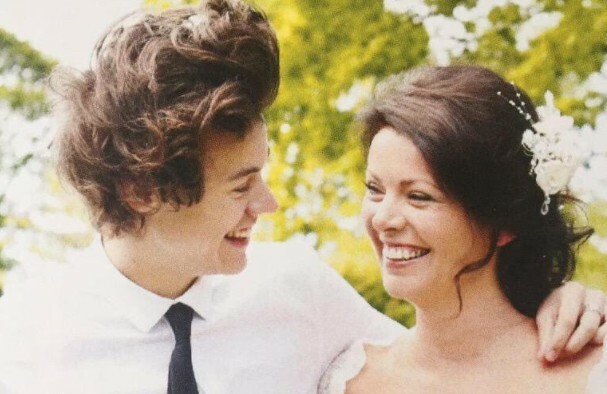 Harry Styles’ mum, Anne Twist, has praised her son as “absolutely brilliant” at caring for his 81-year-old grandfather, Brian Selley, who has Parkinson’s. Anne continued: “My father has Parkinson’s and I have been a member of the charity for three or four years now and they have been very helpful. He is lucky enough to have a Parkinson’s nurse who is local to him and I know not everybody has that. “He started off with a tremor which was just diagnosed as a tremor in his 70s. He is 81 and he’ll be 82 this year, so it’s just progressed. The pop idol’s grandfather has previously paid tribute to him in the press. In 2013, Brian told UK newspaper The Mirror, “he [Harry] hasn’t changed a bit”, after Harry invited him to a VIP box to see One Direction and gave him a loving hug before taking to the stage. “It’s also hard for me to get around because I have Parkinson’s and it’s such an effort to get me out and about. Anne arranged for Harry’s uncle to pick me up and drive me to the O2. It was wonderful. I don’t think I’ve smiled that much in a long time”, Brian continued. ‘SymFunny’ is a star-studded fundraising event that takes place at London’s famous Royal Albert Hall, showcasing a whole host of well-loved comedians and musicians. This year’s event was hosted by stand-up comedian Jason Manford, and featured music from multi-million selling, and award-winning, singers Aled Jones and Katie Melua. The event is expected to raise £150,000, to will support the charity’s ‘We won’t Wait’ campaign, which is raising much needed funds for research to find better treatments for Parkinson’s in years, not decades. Celebrity Parkinson’s supporters in attendance included ‘Downton Abbey’ actors Michael Fox – whose aunt lives with Parkinson’s, and Laura Carmichael, whose grandmother also has the condition.